Waterfalls are one of the more stunning aspects of everything that Mother Nature has to offer, and the state of Tennessee has plenty of them for you to witness, climb, photograph, and even swim under. 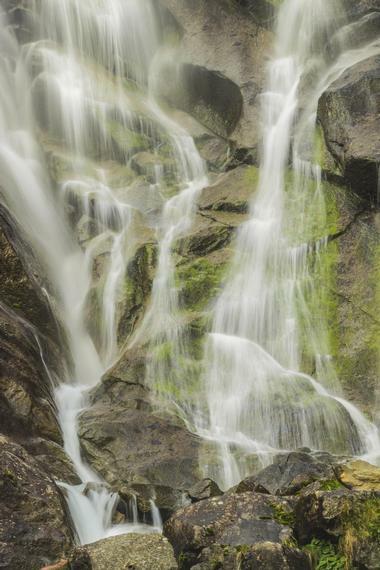 Many of the waterfalls can be found within state parks and are easily accessible because of trails that are paved or have been naturally carved out over the years. No matter the length of time you want to walk from the parking lot and how much of a climb up or down you’re willing to do, one of the waterfalls we’ve listed below will be just right for you. For example, Burgess Falls is only a ¾ mile walk on a leveled-out path, while you’ll need to descend an unsteady 45-degree-angle path to get to Cane Creek Falls. 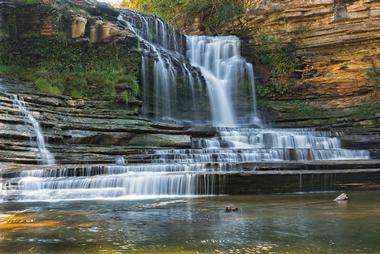 If you’re in the mood to swim, don’t miss out on a visit to Rutledge Falls. Burgess Falls, which can be found within Burgess Falls State Park, is one of the most impressive waterfalls in all of Tennessee. The large and unusually shaped natural phenomenon is absolutely breathtaking to see in person and towers at over 132 feet tall. It is one of the easiest waterfalls to access and is only a ¾ mile walk from the parking lot; most of the path is leveled out and you’ll also get to see two other waterfalls on your way there. You can see impressive views of the falls and the gorge from the overlook, but descending the steep trail to the brink of the falls is completely worth it. Located within Fall Creek Falls State Park, Cane Creek Falls is an 85-foot-high plunge waterfall and is one of many found inside the park. Compared to the other nearby waterfalls, Cane Creek Falls is the largest by volume and can be easily seen from overlooks on the main trail above. Visitors are more than welcome to trek the exciting descent down the cable trail to get up close and personal with the waterfall and its gorge. There are a couple of very steep and rocky spots on the 45-degree-angle trail, but the cable strung alongside it does help the climb down and back up again. 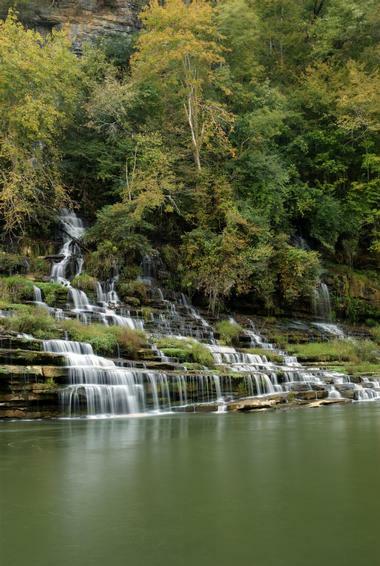 The 8th largest waterfall in Tennessee (by volume), Cummins Falls is a beautiful flow off the Blackburn Fork State Scenic River. It is one of the main attractions of the 211-acre day-use park and is a scenic spot, complete with swimming hole, which is extremely popular in the summer months. The waterfall and gorge take a bit of a hike to reach; there are two routes, approximately a mile to a mile and a half each, that descend to the gorge, though both are steep and have uneven terrain. Once you get down there though, the views and sights offered will make the hike completely worth it. Towering as the highest single plunge waterfall east of the Mississippi, Fall Creek Falls is a stunning sight to see when exploring Fall Creek Falls State Park. 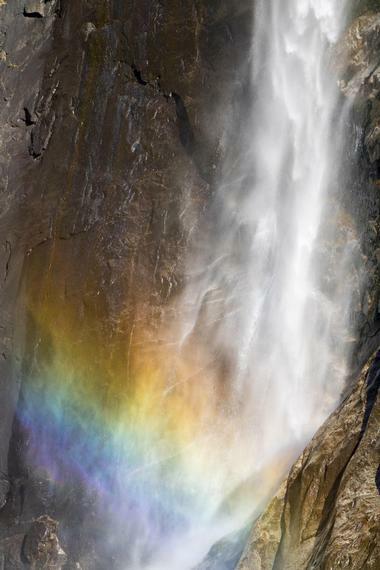 The waterfall itself is over 256 feet tall and the water flow is controlled by a dam. The falls are accessible with a short walk through the wooded area from the parking lot, and the lookout point provides gorgeous panoramas not only of the waterfall but of Cane Creek Gulf as well. 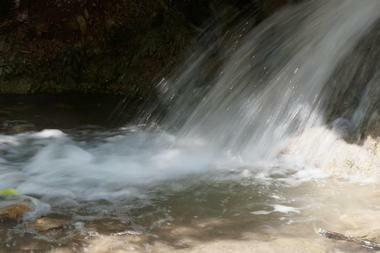 If you have time, be sure to visit the other four main waterfalls located within the park as well. Located in the Foster Falls Scenic Area, one of the most picturesque wilderness spots in Tennessee, this stunning waterfall is named after the park. Foster Falls is a spectacular 60-foot waterfall that plunges into a deep pool below. During the warmer months, visitors will see the pool surrounded by colorful mountain laurels, azaleas, and hemlocks. An easy hike will take you to the top of the falls, after which an easily accessible trail will take you down to the gorge. In addition to the beautiful sights, visitors will also be able to access the campground complete with bathhouse, toilets, designated picnic area, grill, and campfire ring. 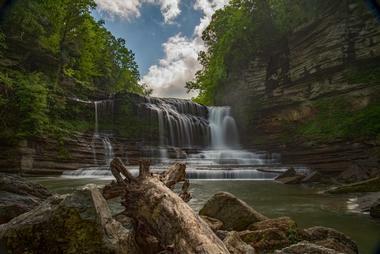 Just a half-mile walk on a nice, wide pathway will guide visitors to beautiful Greeter Falls. 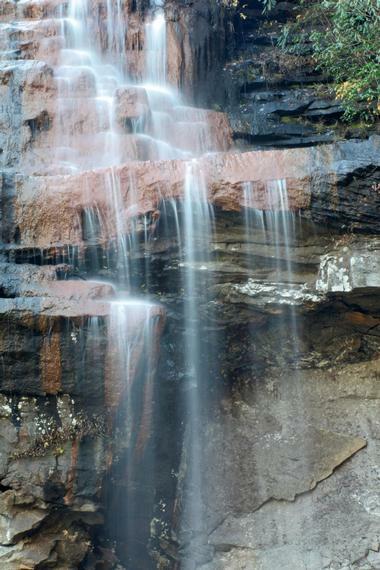 The falls are located within one of the most scenic wilderness areas in the state, the Savage Gulf State Natural Area, and is broken into two layers, the upper falls and the lower. As you walk toward the falls, you’ll see beautiful oak, hickory, and pine trees scattered throughout the park, but the roar of the waterfall will draw you directly to the water – try to stop and take time to explore the beauty on the way. Try to get as close as possible and don’t let the short hike stop you from seeing some phenomenal views of the waterfall! 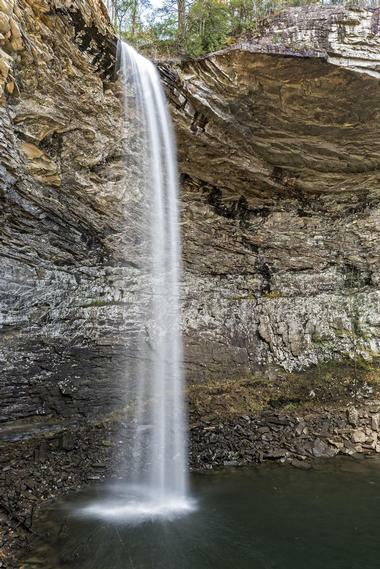 Ozone Falls can be found within the natural area with the same name in Cumberland County, Tennessee. The plunge waterfall falls over 100 feet and is easily accessible on foot. You will be taken back by the waterfall and the beautiful surroundings, which can be seen in many movies, including Disney’s live action Jungle Book. An impressive rock house “amphitheater,” which was created naturally by the water and wind, can be seen in the background. While there, be sure to explore the 43-acre land and get up close and personal with all the flora and fauna that can be found there. Rutledge Falls is one of Tullahoma’s greatest hidden gems. The 40-foot-high waterfall can be found on private property but has been opened to the public by the owners. The falls flow down from Crumpton Creek and continue to Normandy Lake. The chilly waters are a great place to cool down during the hot Tennessee summers and the water is surrounded by spring wildflowers. There is a short trail to the falls from the parking lot, so be sure to wear comfortable shoes if you’re headed that way. The falls are accessible from dawn to dusk throughout the year, though swimming is only allowed in the summer months. Come prepared for a picnic and have a great time with your family and friends. 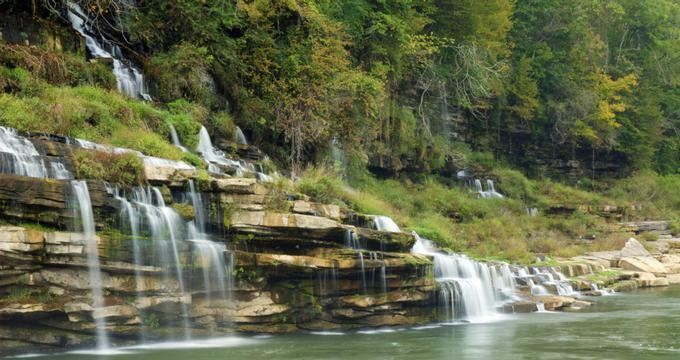 Located within Rock Island State Park, Twin Falls was actually created by accident when the Caney Fork River was dammed. 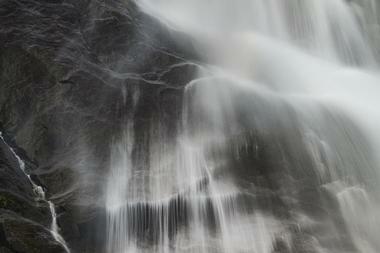 The 80-foot-tall waterfall runs off from Collins River and pours out of walls of the gorge instead of over it. The trail leading to the waterfalls starts from the parking lot itself and is a fairly easy hike, so beginner visitors are more than welcome. The magnitude of the waterfall is immense, and you can get close to the river to feel the full power of the waterfall and hear its roar. The surrounding park has tons of other activities and sights, but Twin Falls is one that definitely shouldn’t be missed.